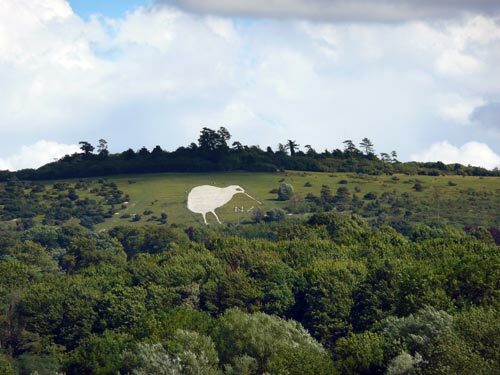 This kiwi was carved in the chalk of the hillside by New Zealand soldiers waiting at Sling Camp in the UK in early 1919 for transport back to New Zealand after the First World War. As New Zealand soldiers met those from other countries during the war, they developed a stronger sense of their own distinctive identity. The term 'Kiwi' became widely used to describe them. At home the achievements of the New Zealand soldiers at Gallipoli and then on the Western Front strengthened a sense of national pride. Anzac Day, commemorating the landing on Gallipoli in April 1915, became a national day.